Has something changed in the way tracks are followed? Is there a setting I need to check for? Is this a bug or a change in the way things work that I haven't spotted? Ernie's upload isn't showing in my news feed, despite being a track I added to and so I wouldn't have noticed Ernie's add had I not spotted it on the Wikiloops landing page. (see attached screen capture from my news feed set to 'feedback on my tracks only'). 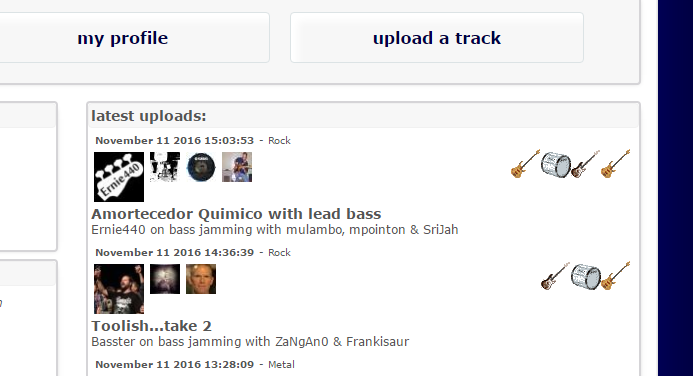 When I select 'Feedback on my tracks only', it only, literally, shows feedback (likes and comments). It's no longer showing uploads to stems I've contributed to. 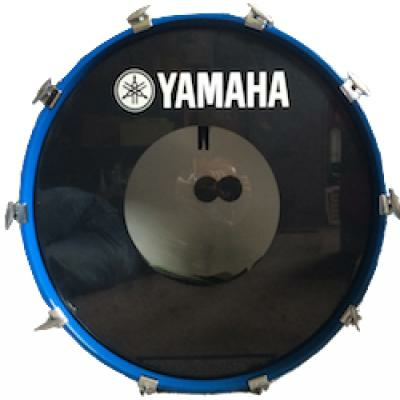 It used to show these. Is this intentional? I rely on this feature to make sure I've covered feedback for people who've added as these quickly disappear off my main news feed. 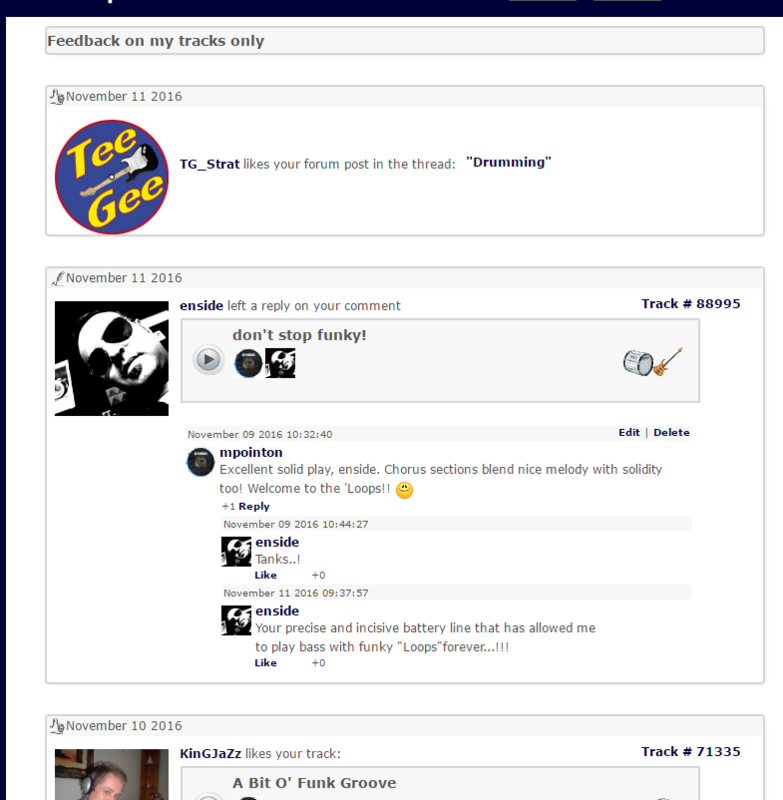 I had initially widened the concept to "feedback on my items" which also included albums, forum threads, pictures and such which I just reduced to "just feedback on tracks". The really tricky part I tried to get worked around yesterday was that comment replys to comment replys of yours do trigger the expected news, but if you set the filter to "on my tracks only", I built in another check to make sure the comment conversation actually belonged to an item of yours (jeeez). It would be no big deal to bring the remixes back in there, will have a look in the afternoon sometime. Totally understand your thinking on the feedback thing. As it's a deliberate change, I'm happy with that. Thanks for looking into the album playback. I went to fr.wikiloops.com on my iPhone and albums/playlists do indeed progress from one track to the next whilst my phone is locked. I'll try and get some screencaps done for you shortly for the differences, if that's any help.